Have you ever been curious if other essential oil companies live up to the high-pure-quality that most of know we receive from Young Living? Below are twelve questions, developed by Dr. Stewart, that you can use to engage with the other essential oil producers. Make a chart, call each one, and then you decide. 1. Does their company own any farms on which to raise herbs for oils? And if they do, are they new farms on land formerly polluted with herbicides, pesticides, and chemicals that contain residuals from the past, or are they farming land that is clean, which has never been cultivated or has been untilled for at least the last 50 years? 2. Does their company have their own fully equipped testing laboratory to verify an oil’s composition? 4. If their company purchases oils from outside suppliers, do they visit the distilleries and farms of those suppliers periodically to observe if the herbs are grown organically, i.e. without pesticides, herbicides, or chemical fertilizers? 5. Do they know if the grower has a testing laboratory on the farm to determine when the crop is at its peak for oil harvesting? 6. Do they know if the crops were actually harvested at their peak time and, if so, was there an inordinate delay in taking them to the still and into the cookers? 7. Do they know if their distillery personnel understand the art and science of distilling, exactly how to pack the cookers, how to administer the steam, how to maintain minimum temperatures and pressures throughout the cooker, and how to continuously monitor the process throughout distillation to make sure the oil produced contains all of its components in the proper proportions? 8. If their supplier makes a mistake in the distillation or harvesting processes that results in an inferior grade of oil, does that supplier sell the oil anyway or do they discard it? 9. Do they know if the the cookers in the distilleries of their suppliers have domed lids or cone shaped lids? Most stills use dome-shaped lids. Cone topped cookers deliver a better grade of oil than dome tops. 10. Do they know if their suppliers supplement the distillation process with solvents to extract additional oil from the plant matter? 11. Do they know if their suppliers bottle their oils directly from the distillery without modifying the composition of the natural oil by adding anything or taking anything away? 12. Do they know if their company has tested their company’s oils side by side with Young Living oils in the same lab to make a fair comparison? And if so, where is the data? 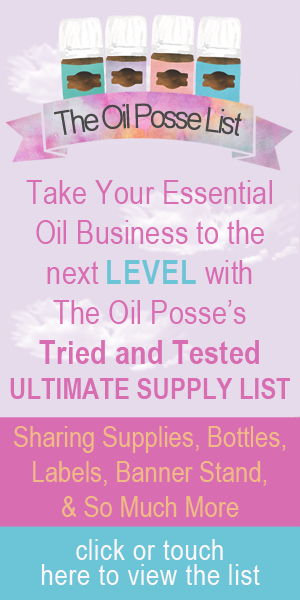 This is not a comprehensive list of questions you could ask, but if their answer to any or most of the above is “no,” or “I don’t know,” then how do they know their oils are “pure therapeutic grade” and that they are “as good or better than those of Young Living?” Without such knowledge, how can they make any verifiable claims that compare Young Living Oils with their brand? This is not posted to degrade any essential oil brand. It is posted to assist those in determining a brand that best fits the standard they may have predetermined or are trying to determine is best for them. This entry was posted in DIY, Essential Oils, Family, Lifestyle, Research, Seed to Seal and tagged Dr Stewart, Essential oils, The Oil Posse Team, Twelve Questions, Young Living on November 16, 2015 by Jordyn Lei. This entry was posted in Essential Oils, Family, History, Labels, Research, Seed to Seal and tagged Organic Certification, Organic Label, Purity Promise, Seed to Seal, The Oil Posse Team, Therapeutic Grade, Young Living on November 5, 2015 by Jordyn Lei.